From the Papyrus range, the verse on the front continues on the insert inside, "Twenty-five years of staying together through one hundred seasons, whatever the weather. Twenty-five years is it really that long? Twenty-five years, and you're still going strong! 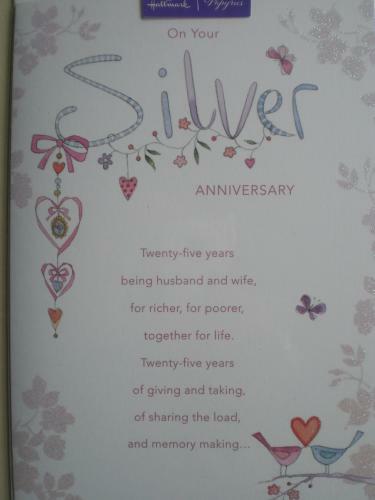 Congratulations on Your Silver Wedding Anniversary".